Linda Maria Frank, the author of Annie Tillery Mysteries, has been happily launching a new career as author. Inspired by a childhood passion for Nancy Drew books and the popular television series, CSI, she successfully married an appealing heroine (Annie Tillery) with a gripping story plot to create these new fiction books for mystery readers. The Madonna Ghost has earned the distinctive "Editor's Choice" and "Rising Star" awards. Girl with Pencil, Drawing, the second book in the series, ramps up the adventure and suspense. Annie stays one step ahead of the bad guys by the skin of her teeth. Before venturing into writing, Frank's first love was teaching science, her assignments ranging from Middle School to graduate level courses at Hofstra and Adelphi Universities. It was the forensic science courses that gave her the story lines for her heroine, Annie, based on a composite of former beloved students. She recently retired from Adelphi University where she supervised science student teachers. To quote, "Writing, publishing, and marketing books is a full time job, and it's time to change careers." 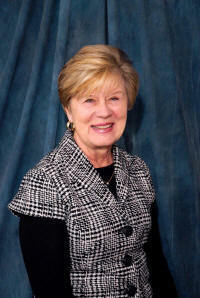 An award-winning author, she is featured on The Children Authors Show. She is also a contestant winner in the 2018 edition of The Authors Show: 50 Great Writers You Should Be Reading. DNA TECHNOLOGY includes an explanation of how we are related and how we are different by our DNA, and illustrates how this technology has become one of the best tools of criminologists. DNA AND FAMOUS MURDER CASES outlines how DNA analysis was used and misused in the O.J. Simpson trial, the Laci and Connor Petersen murders, the Sam Sheppard trial, and the Boston Strangler. THE LINDBERG KIDNAPPING traces the evidence used to convict Bruno Hauptman of the kidnapping and murder of Charles Lindberg, Jr. This was the first case dubbed the "Crime of the Century" by the print and radio media. SOLVING ANCIENT MYSTERIES illustrates how modern forensic techniques are used to solve mysteries of the past, such as Otzi, the Ice Man, the Bog People of Denmark, the Peruvian mummies and even the vampire folklore of Eastern Europe. PLANTS, POISONS AND PLOTS not only includes illustrations of the various plant poisons and their uses or misuses, but illustrates how famous mystery writers have employed them in their books. ART, NOT ART explains how art pieces are scientifically authenticated, using examples from the art world, and delving into the world of art fraud. Famous cases of art theft, such as the Nazi atrocities regarding art works during WWII are described. THOSE CSI SHOWS, FACT OR FICTION investigates the protocols, procedures and laboratory world or crime investigation in the real world and on TV. Frank is a native New Yorker, and when she is not writing chapters for the next Annie Tillery Mystery, she is out there doing presentation of her books. Visit her Facebook pages: Fans of The Madonna Ghost and The Writers Dream. Presently, she is involved at LTV in East Hampton producing The Writer's Dream, a series of interview shows where writers talk about different aspects of the profession. Several of the LIAG authors have been interviewed, as well as panel discussions with members. The show appears on Cablevision, YouTube and LTV-EH.org. 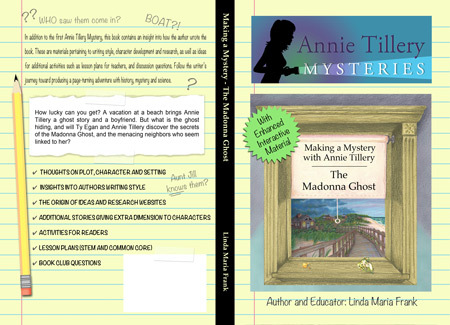 The idea for Making a Mystery with Annie Tillery grew out of the many questions I received from readers and colleagues about how the Annie Tillery Mysteries series was created. I decided to by-pass the routines of how I write. Instead I have shared the more creative side of story-telling; where ideas come from, why a particular setting captures me, and how a plot twists and turns. Lots of queries addressed the characters in the series, Annie, boyfriend Ty Egan, Jill Tillery (Aunt J), and of course, the villains. At the end of most chapters I give an account of the journey I took to produce The Madonna Ghost. I hope you enjoy it, and if you write, I hope you get an idea or two for your own book. Tell that story! In response to the many questions I received from my readers, I published a new version of The Madonna Ghost. A completely different book, it expands most chapters with an explanation of what goes into writing a fictional mystery. I provide background information about the creation of plot, character and setting. I share my research and offer a few short pieces to flesh out my characters. There is an activity with prompts to motivate the reader to create their own story. For book clubs, and classes, you'll find discussion questions. For the teacher there are lesson plans and websites to enable students and readers to dig deeper into the world of The Madonna Ghost. Letters can really change a life. In Linda Maria Frank's latest Annie Tiller Mystery, teen detective and her boyfriend, Ty Egan, bump into the intrigue of a past time in American history. A letter from the United States Navy links Annie's great grandmother with a plane crash from 1943. A packet of letters between great grandmother, Charlotte Wheeler, and her Navy pilot finance, Frank Bradenton, hint at dangerous goings-on in the defense plant where Charlotte test and flies Avenger fighter planes to military bases on the West Coast. 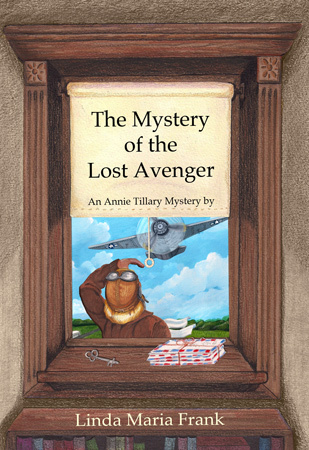 Annie and Ty become code breakers, delving into the heart-stopping world of World War II to solve The Mystery of the Lost Avenger. Secrets in the Fairy Chimneys has it all. The story is set in exotic Istanbul and Cappadocia, a land of enchanted caves and rock formations. The plot involves ancient mysteries, archaeological secrets, and thieves who will commit murder rather than give up the treasures they steal. Annie acquires new friends. Cedric Zeeks is trying to find a link between his African ancestors and the inhabitants of a 9,000 year old town in Cappadocia. Yelda and Ahmet Atsut, twins with a Ouija board and awesome sleuthing talents, help Annie and boyfriend, Ty Egan, solve the mysteries, both the ancient ones and the ones that threaten them as they work the archaeological dig. Here's a peek at the back of the book: Amateur sleuth Annie Tillery has been warned to stay away from Nevshehir, Turkey, where she is heading to meet her boyfriend, Ty Egan, and Cedric Zeeks, Ty's best friend. Intent on helping the two to excavate an archaeological site where they hope to link human remains to the first African ancestors. Annie does her best to shake her foreboding feelings as her plane lands in Istanbul and she prepares to embark on her next adventure. But when a stranger claims he is there to pick her up and then disappears once he sees Ty, Annie is immediately thrown back into worry mode—especially after Ty tells her there is unexplained tension surrounding the dig and she receives a threatening note at the hotel. Still, as the three head to Nevshehir, Annie is buoyed by the excitement surrounding ancient Turkey and the possibility of uncovering secrets. The dig is plagued by accidents and theft, however, and the three friends, assisted by the head archaeologist's twins, must search the ancient city of Istanbul and the caves of fantastic Cappadocia to ?nd who is sabotaging their work. 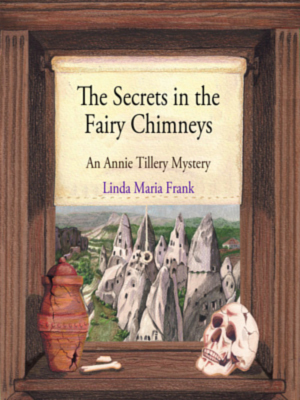 In this young adult thriller, detective Annie Tillery must once again walk a dangerous path in an attempt to unravel a complicated mystery and solve the secrets in the eerie fairy chimneys. In this new Annie Tillery mystery, Annie wins a series of art lessons at a prestigious art gallery. At her first lesson she finds herself drawn into the illicit world of art forgery. Her teacher, Francesca Gabrielli, has agreed to copy art pieces for the director of the gallery, John DiCristiani. Francesca finds out what her copies are used for and she confronts him. They have a violent argument and when DiCristiani is found murdered, Francesca is the prime suspect. The key to solving this case revolves around a mysterious brownstone in Brooklyn whose inhabitants present tantalizing and elusive clues. Annie and her N.Y.P.D. detective aunt, Jill Tillery, brave the dangers of an international art fraud ring to clear Francesca. Hold on tight as Annie and Company try to stay one step ahead of DiCristiani's murderer, escaping one deadly trap after another. The stakes are high in this glamorous and very dangerous world of illegal trafficking in artwork. The audiobook is available at: http://www.audible.com. In The Madonna Ghost, seventeen-year-old Annie Tillery and her Aunt Jill set off for Long Island's Fire Island for a vacation of surf, sun, and sailing. Annie is happy to leave behind the stress of her relationship with her parents. Aunt Jill, who is an NYPD detective, is mixing her vacation with a case she must keep secret from Annie, who is suspicious nevertheless. Annie finds romance and intrigue when meets Ty Egan, the nephew of their host on the island. They find themselves in the middle of an eerie adventure when she and Ty investigate the tragic and perplexing story of a local ghost. Annie becomes increasingly uneasy and the investigation turns sinister when Aunt Jill goes missing, the ghost appears, and the troublesome neighbors next door become hostile. When they find one of Aunt Jill's special earrings on the neighbor's porch, they begin to wonder what she was doing there. Will they find Aunt Jill before it's too late? In the breathless conclusion to their investigation, Annie and Ty narrowly escape death solving the mystery of The Madonna Ghost.